When a guest dies in his bed, it's only the beginning of Basil's problems as he tries to hide the body and the dodgy kippers which may have led to the guest's demise. 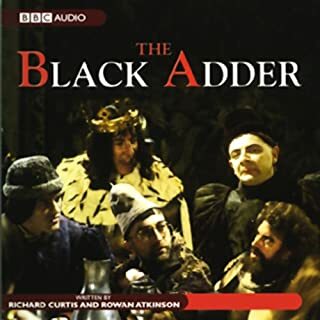 Basil tries to cope while Sybil is in hospital, but soon everything is in chaos and a deranged Basil does the funny walk for a group of German tourists. Quality customer service has never been one of Basil's strongpoints so, when an American guest demands the comforts of home, Basil's blood pressure reaches boiling point. The cream of Torquay society turns out for a gourmet night. Expectations are high but so is the chef, leaving Basil to hunt down a suitable main course. Listen to more Fawlty Towers episodes. The Major, Manuel ( who narrates the series's in letters to his Mom ), Chef......they are all here! To my surprise I found that I enjoyed the audio version more than the televised show. 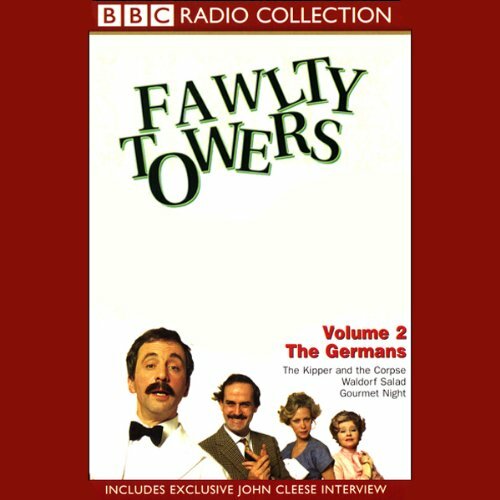 The genius of The Faulty Towers on.audio. who could have thought thats one could still split up on fits of laughter with no vksuals on.this.show. Be careful where you listen to this and keep a handkerchief on hand. Sometimes I laughed so hard I had to wipe my eyes and I would have been in trouble if I was trying to drive while listening. I can also be embarrassing to burst out laughing while riding public transit. The full cast recording with narration by Manuel to fill in any blanks. 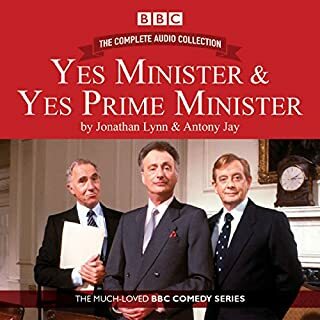 The Germans episode is the best of the series and, IMHO, one of the best examples of British comedy. 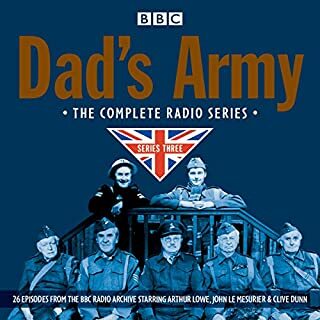 If you enjoy Fawlty Towers try Dads Army. I think you will enjoy a similar type of humour ,which is hard to find these days. "Don't mention the war" indeed. 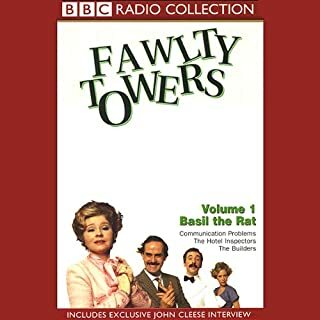 Would you consider the audio edition of Fawlty Towers, Volume 2 to be better than the print version? What other book might you compare Fawlty Towers, Volume 2 to and why? The funniest scene is in Gourmet Night where Basil attacks his car after it stops working. Manuel's commentary makes the scene even funnier. British comedy doesn't get any better than this. Love it! It's John Connie and Man well at their best; make sure you are sitting down because you will laugh your socks off. This is not one for driving and listing too, U'll have too many tears in your eye to see. An absolute classic, British comedy at its best. Obviously a lot of the visual slapstick comedy is lost, but I have seen the episodes so many times that I feel like I am watching them in my head anyway. An absolute must have for any fawlty towers fan or anybody that like to laugh aloud. And haveing John Cleese do a little introduction to each episode is a nice touch, gives you a bit of history and background. 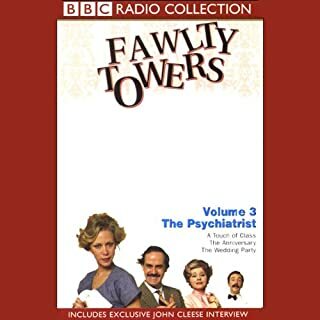 I love Fawlty Towers and enjoyed listening to this. But there are an awful lot of visual jokes, and while Manuel's commentary helps, I think it's better if you have seen the TV programme as well. Brilliant, but narration perhaps unnecessary? Obviously brilliant, but new narration perhaps a bit annoying and unnecessary for TV series fans?